Canopy Rivers, Inc. (TSXV: RIV) skyrocketed 150% on Thursday, September 20, 2018, in the company’s trading debut. The Canopy Growth Corporation (NYSE: CGC) (TSX: WEED) spin-off saw strong volume of 18.33 million shares or dollar volume of C$160.41 million, exchanged hands during Thursday’s trading. Canopy River’s business model allows the company to obtain pieces of early-stage cannabis companies with promising futures. Being that cannabis stocks have largely seen substantial gains in recent months, the marijuana consulting company’s portfolio has seen impressive returns. Canopy Rivers certainly has a very unique story and its very close association with Canopy Growth gives the company a major edge. 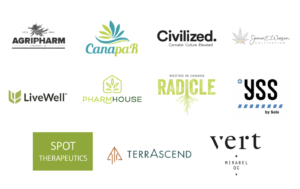 Noting the strong portfolio and business model in the high-growth legal cannabis industry, Canopy Rivers should benefit from overall growth within the industry. Disclaimer: The author and Spotlight Growth has no positions in any of the stocks mentioned in this article. Nor does either party currently have any relationship, or any other conflicts of interest, with any of the companies mentioned in this article. This content is meant for informational and entertainment purposes only and should not be meant as a recommendation to buy or sell any securities. Please visit a licensed financial representative to determine what investments are right for you. The post Canopy Growth Corporation (NYSE: CGC) (TSX: WEED) Spin-Off, Canopy Rivers, Inc. (TSXV: RIV) Skyrockets 150% In Trading Debut appeared first on Spotlight Growth.